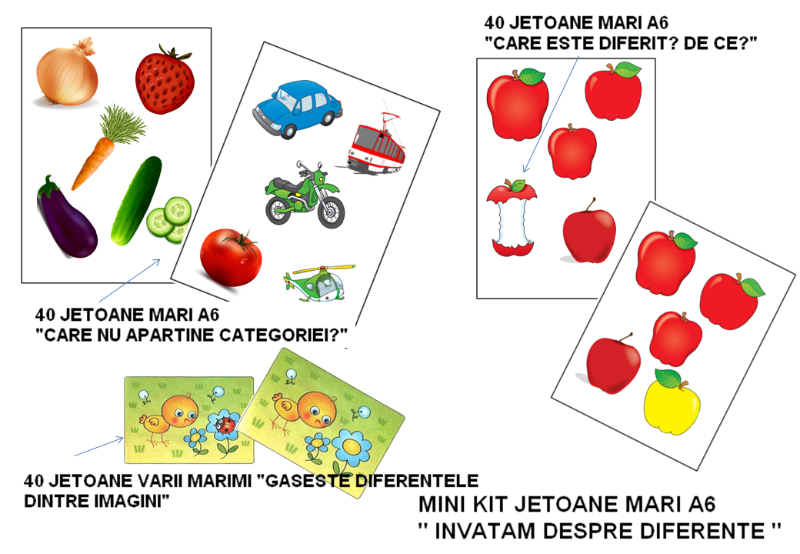 - 80 DE JETOANE MARI A6, CU IMAGINI COLOR. COPILUL TREBUIE SA IDENTIFICE, PE FIECARE JETON, ACEA IMAGINE CARE ESTE DIFERITA DE CELELALTE SI SA EXPLICE DE CE. - 40 DE JETOANE COLOR PERECHE, DE VARII DIMENSIUNI. 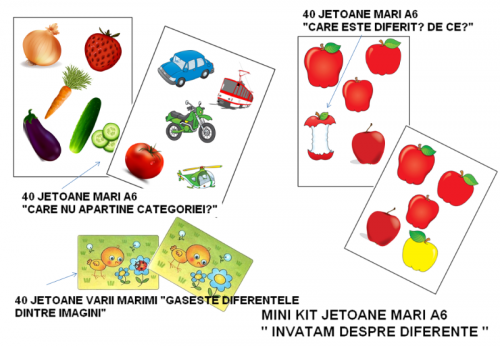 INTRE JETOANELE DIN ACEEASI PERECHE EXISTA MICI DIFERENTE CARE TREBUIE GASITE.